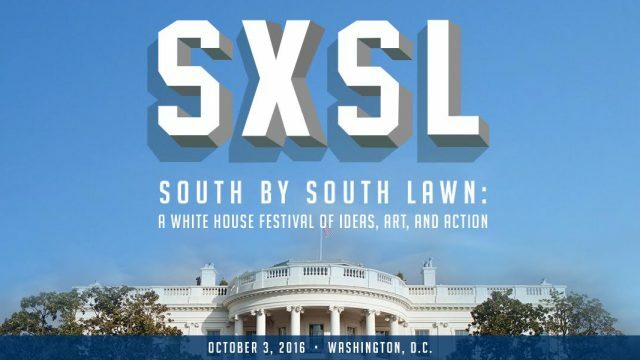 South by South Lawn (SXSL), inspired by South by Southwest, brings together creators, innovators, and organizers who work to improve the lives of their fellow Americans and people around the world today, Monday, October 3. Watch and engage with South by South Lawn from anywhere! The entire festival will be streamed live on WhiteHouse.gov/sxsl and Facebook.com/WhiteHouse. The festival – presented in coordination with the American Film Institute (AFI), the President’s Committee on the Arts and the Humanities (PCAH), the National Park Foundation, and South by Southwest – celebrates the spirit of innovation with sessions, musical performances, the White House Student Film Festival, and a group of interactive booths featuring hands-on exhibits. Recently announced, the compelling programming lineup for South By South Lawn includes President Obama in conversation with Leonardo DiCaprio and Dr. Katharine Hayhoe; a discussion on pushing limits with James Turrell and David Adjaye; performances by The Lumineers and Sharon Jones and the Dap Kings; and appearances by The Duffer Brothers and the cast of Stranger Things, and more. Join the conversation using #SXSL to share your ideas and see what others are doing to help change our world. 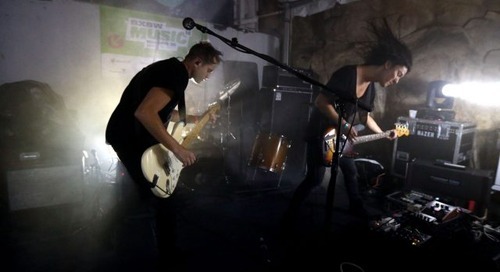 Follow @sxsw on Twitter for official SXSL coverage. Stay tuned to SXSW News for a full SXSL event recap. Watch the live stream to get inspired by the diverse visionaries speaking at South by South Lawn, and prepare for more discovery March 10-19 at SXSW 2017 – more programming announcements coming your way the week of October 17. The post Watch Live: South by South Lawn (SXSL) Festival appeared first on SXSW.